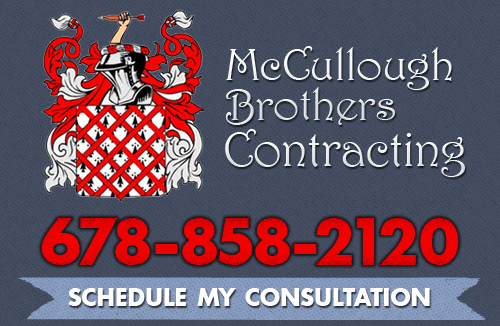 If you want to make sure you are getting the best service then you only need to, look at as far as McCullough Brothers Contracting. We have quality that is backed by a long-standing reputation, and have been serving the Atlanta area with the best work since the 1950s. We take pride in our strong legacy of customer-service and want to make certain that all of our work exceeds the expectations of every client. We offer a variety of services, and can easily tailor our work to the needs of any customer. You know you are getting the very best when you turn to McCullough Brothers Contracting and can rest easy knowing that the results will always be superb. With a custom home, you can change out anything you don’t want, such as installing very functional cedar wood in your closet areas, or adding an intricate crown molding around your formal dining room, or installing LED lighting instead of standard lighting. How about adding in a movie room or family entertainment system while your home is being built? A brand new kitchen is an exciting prospect for any home owner, and we can help you get new-found enjoyment out of your own. 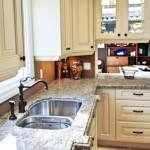 With a kitchen remodel you can increase your own kitchen’s functionality, appeal, and value. Even if your kitchen is only a few years old, you can greatly benefit from undergoing a renovation. If you’ve been considering a bathroom remodel, now is quite possibly the best time to act. We are able to provide you with all manner of bathroom improvements, including new fixtures, tiles, vanities, and improvements to your available storage space. A bathroom remodel is an investment that you will see a return on every time. Transforming your basement into a new living space, study, or workspace is a specialty of our interior improvement specialists. Reworking your dingy basement into something that your entire family can readily make use of is one of the many improvement services that we offer. 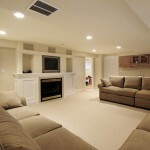 If you’d like to see how we can re-imagine your basement, all you need to do is contact us for a consultation. If you are in need of the service of the best in residential remodeling contractor, then give us a call today at 678-858-2120 or complete our online request form.